It would be helpful if parents could be quickly informed if their small child is too hot or cold, especially when engaged in outdoor activities for an extended period of time. Hoko is a smart, portable comfort monitor that should enable exactly that. One side of Hoko is a small, circular device containing a microprocessor, along with temperature and humidity sensors, that gets placed inside a child’s clothing. That side of the product is attached to a piece of soft fabric with a cute doll on the other side that serves as Hoko’s interface. 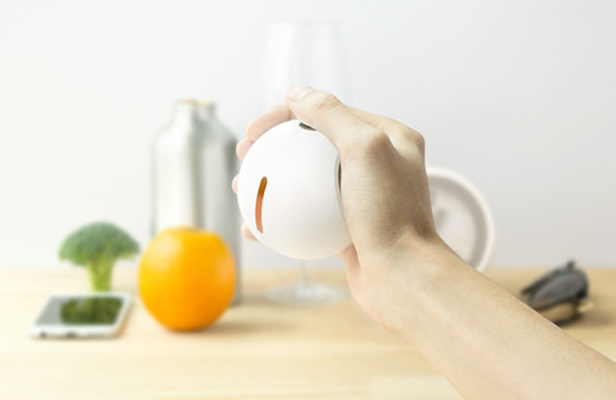 The thermometer and humidity sensor collect data and send it to Hoko’s interface, which blinks in different colors depending on the child’s comfort level. A red blinking light indicates a rise in the temperature within the child’s clothing that could cause discomfort. Yellow indicates an increase in humidity level, while blue signals a likely uncomfortable drop in temperature, green means the battery is weak and white means that temperature and humidity are at acceptable levels. Hoko ships in February at about $54, although early bird Kickstarter backers can get one as low as about $42. Its makers are hoping to raise $45,571 by Nov. 25. There have been similar temperature monitors for kids, including Fever Smart. But Hoko features a more child-friendly design and certainly seems more comfortable for kids.